RC Online is a new accelerated learning opportunity designed by the Transition School faculty, to bring an advanced college-prep curriculum to an on-line platform for all high school students. Our goals: to provide students with an inspiring, expansive educational experience that allows them to see how far they can go; to be a window into what college-level work will be like; and to move students rapidly from novice to advanced writers, readers and thinkers via specific skills, practices and tools. We are particularly committed to providing high quality, exciting educational opportunities for students who have traditionally found access to such programs to be difficult if not impossible. Whether access is limited due to socio-economic background, race, geographic location, or other factors, the Robinson Center’s on-line courses can provide that challenging curriculum without the logistical, economic and other barriers that come between a student and educational opportunity. Is this course for you? If you already have a substantive homework load and are currently enrolled in AP, IB or Honors courses in your high school, then this might not be the right fit for you. However, if you are under-challenged in your current educational environment, and able to commit to a workload of probably 10-15 hours per week (for real! ), then this course could be exactly what you need. We offer thorough and personal feedback on your work, clear expectations and objectives, and a supportive, positive on-line environment in which to explore and develop your academic skills. What will you gain by this course? Our courses are designed to transition students to college-level work, so that they can be successful, from the very start, in their college coursework. We also provide access to an on-line community of students with similar interests, goals and ambitions. What does this program offer your students? Our courses provide the additional challenge and acceleration that districts can’t always provide, due to logistical and financial limitations. Because our courses can draw from many different districts to populate one class, our financial model is sustainable and robust. For those students who have exhausted all other educational avenues and yet still need challenge, the Robinson Center can be the answer. Our courses provide students with both an advanced, in-depth learning experience and the high-level skills so vital to success in college. What will your District gain by this program? For small districts, it can be challenging to provide courses that serve the needs of all students. The cost of additional staffing and curriculum development often depend upon a sufficiently large number of students to make such courses viable. An on-line, supported model, with appropriate curriculum and professional development included, can solve this difficulty and help a district make sure all of its students reach their full potential. We can help districts reach their race & equity goals, by providing easy access to appropriately challenging curriculum. In tandem with teaching these on-line courses, the Robinson Center also works with the District’s teachers so that within a year or two the on-line courses can be taught by District staff. Our model allows schools to gradually take over the delivery of the course, once district teachers are trained by our staff. Currently we are offering one course, Academic Composition, with plans to add more soon. We are currently offering one course through our RC Online Program. RC Online: Academic Composition is designed as a ten week course. Each week, students will complete a module, which includes a series of readings, lessons, peer reviews, and short assignments, leading up to a larger paper assignment. The course is fully online, with no hybrid or in-person components. Students are given full access to all lessons and materials at the beginning of each module and can do the work of the course according to the affordances of their own schedule. There are, however, many stringent deadlines that will need to be met each week, especially the ones attached to peer review assignments. In this course, you will be challenged to adapt your writing to the demands of college-level, scholarly expectations. You will learn how to address your writing to advanced academic conversations, and to design your work so as to participate in formal, disciplinary lines of inquiry. There will be substantial weekly reading and writing assignments, and an official grade and transcript at the end. The workload and expectations of this course are higher than many high-school courses. We will be moving at a rapid pace and it is important that students be able to devote enough time to stay up with the material and to practice the writing skills introduced in each module. Though each student’s experience will vary, students should expect to spend about 10-15 hours a week on the various reading, writing, and thinking that is required for this class. Click here to view a sample module, containing a typical workload and deadline schedule for a week of RC Online Academic Composition. Students may apply via our on-line application. Applicants must be in high school to be considered. Registration is first-come, first-served; wait lists are created for classes that fill. Classes that are under-enrolled may be cancelled. RC Online: Academic Composition is designed as a ten week course. For Summer of 2019, it will begin on June 24th and continue through September 1st. Each week, students will complete a module, which includes a series of readings, lessons, peer reviews, and short assignments, leading up to a larger paper assignment. The course is fully online, with no hybrid or in-person components. Students are given full access to all lessons and materials at the beginning of each module and can do the work of the course according to the affordances of their own schedule. There are, however, many stringent deadlines that will need to be met each week, especially the ones attached to peer review assignments. Registration for this online ten week course will cost $1,500 plus a non-refundable registration fee of $25. Financial aid is available for qualified students. Financial aid documentation must be submitted for consideration. Providing this information will not disadvantage you. Documentation accepted as evidence of need includes copies of your family’s most recent 1040-tax forms OR 2017-18 documentation of eligibility for Free/Reduced Lunch. The document/s may be submitted through the ‘Make a Payment’ page of your Robinson Center account. If supporting paperwork is not submitted, or if there is a significant discrepancy between the information submitted online and the confirmatory documents, the tuition and fee waiver may be rescinded and/or the student may be removed from the class. Information supplied to the Robinson Center is intended for internal use only. It is understood that this information will be used only in computing the amount of financial assistance for which the student may qualify, and that it will not be released to any other party. Please find more information on the federal income eligibility guidelines for Free and Reduced Lunch here. 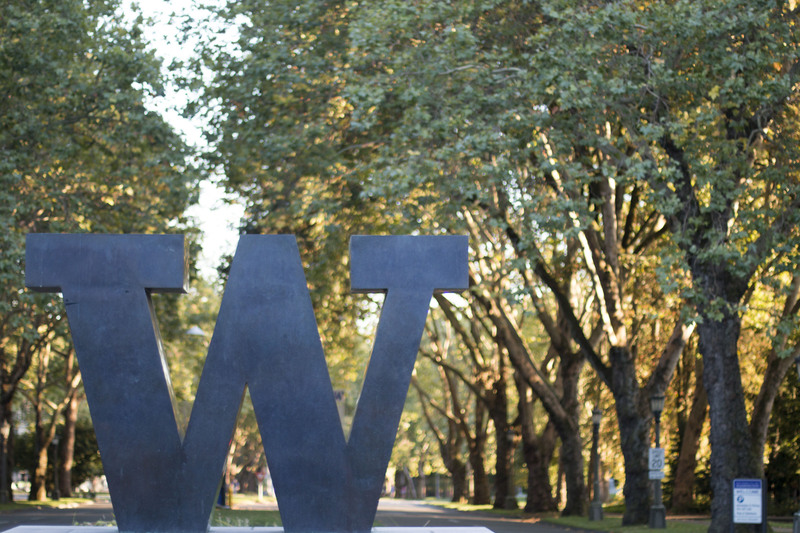 If you have any questions or concerns, please contact us at rcys@uw.edu. If a student has not been accepted into the program and would like to appeal that decision, they have two weeks to submit an appeal. If you wish to appeal, please log into your account, where there is a link to an appeal form. Once the appeal has been completed and submitted, and the required documents uploaded to your account, the Admissions team will reconsider your application and, if necessary, forward the appeal to the Office of the Dean of Undergraduate Academic Affairs, which has final word on all appeals. For any questions regarding the courses offered, or related to the RC Online program itself, please contact us at rcys@uw.edu. RC Online Registration for Summer 2019 is NOW OPEN!